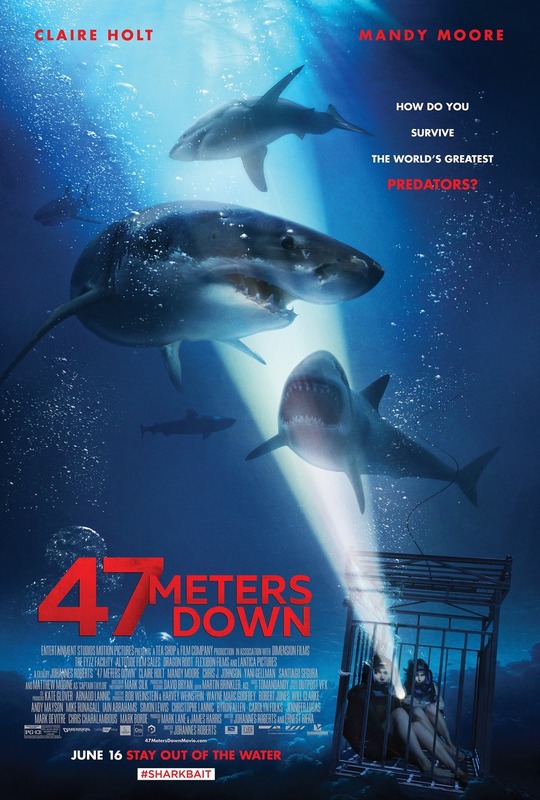 47 Meters Down DVD and Blu-ray release date was set for September 26, 2017 and available on Digital HD from Amazon Video and iTunes on September 12, 2017. Two sisters, Lisa and Kate, decide to try shark diving while on vacation in Mexico. Kate is in it for the thrill; Lisa is looking for distraction. The boat captain, Taylor, leads them to a spot with sharks circling close by. The observation cage is lowered into the water as the sharks swim near, fascinating the girls. However, thrill turns to terror when the cage plummets after the cable suddenly snaps. Lisa and Kate must figure out how to get to the surface unharmed. They are surrounded by sharks and running low on oxygen, desperately trapped 47 meters down.